Former Middle East Peace Envoy Tony Blair has met with the Head of Hamas Political Bureau Khalid Meshaal in Doha, Qatar, for the second time in less than six weeks, the Huffington Post reported on Tuesday. An informed source spoke to the website about a dramatic advance in the talks between the two sides regarding "consolidating the ceasefire in return for lifting the siege on Gaza Strip." The source also said that it is early to describe the talks as successful, especially when it comes to the details, adding: "The devil lies in the details." In addition, the source said Blair told Meshaal that Palestinian Authority (PA) President Mahmoud Abbas looks at these talks as "superseding the PA's legitimacy which represents the Palestinian people." According to the sources, Blair recently met with Egyptian President Abdel Fatah Al-Sisi, Egyptian Intelligence Chief Khalid Fawzi, Security Advisor of the Jordanian King Faisal Al-Shobaki and the deputy of the Saudi Crown Prince Mohamed Bin Salman. 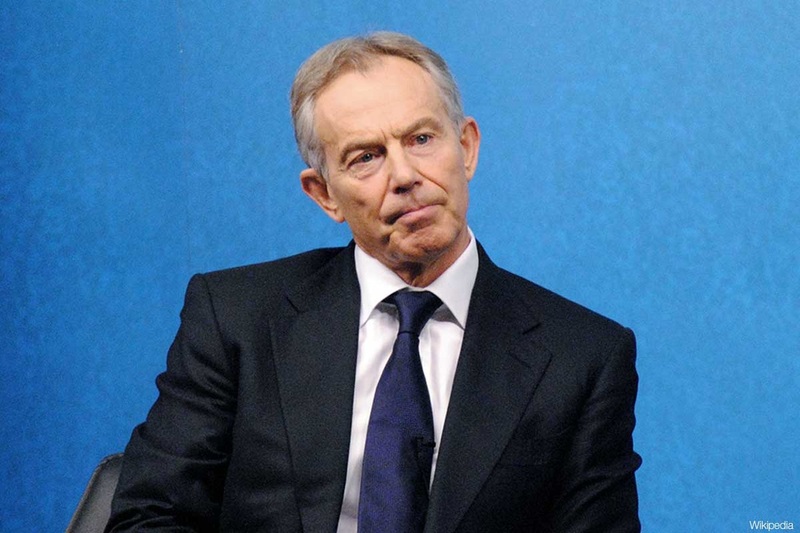 They added that Blair met with several Israeli officials, including Prime Minister Benjamin Netanyahu. 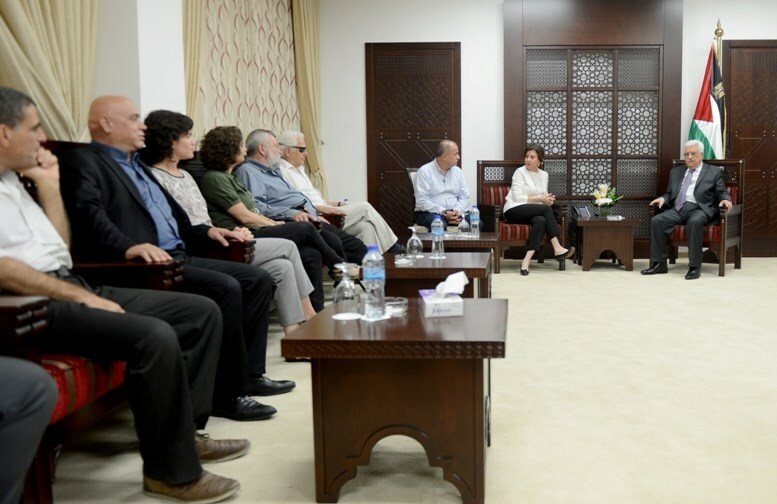 According to Felesteen newspaper, these meetings come in the context of discussions with all related parties regarding producing a final draft for consolidating the truce in Gaza in return for the lifting of the Israeli siege, including opening crossings, reconstruction and building sea and airports. Israeli occupation agreed on creating a sea-lane connects Gaza Strip and Cyprus Island in exchange of long-term truce that ups to ten years and lifting the siege on Gaza, Palestinian reliable sources reported to Al- Hayat London based paper Wednesday. It reported that ending the siege on Gaza would facilitate reconstructing the Gaza Strip after the mass devastation of Israeli occupation offensive against Gaza last August. The sources pointed that Israel still refusing to allow the rebuilding of the airport on Gaza, which is entitled with the name of the late President Yasser Arafat. It explained that Israel has refused a Qatari offer to build an airport in Israel at their own expense in exchange for Israel's agreement to re-establish the Gaza airport. The sources added that a comprehensive agreement is still far away. And Israel will not accepted such an agreement without reaching an agreement for prisoners swap between them and Hamas. 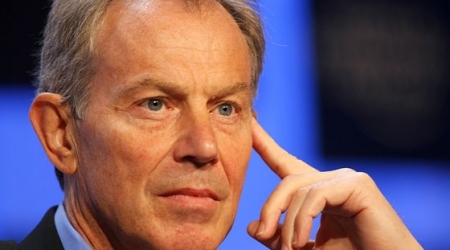 Former envoy of the International Quartet Committee Tony Blair lead an indirect negotiation between Hamas movement and the Israeli occupation, thorough which Israel expressed its agreement regarding building sea-lane between Gaza and Cyprus. Blair met on Tuesday the Head of the Political Bureau of Hamas, Khaled Mashaal in Doha for the second time in six weeks and reliable sources confirmed it. The sources reported that the negotiations between Hamas and the Israeli occupation witnessed a significant progress towards reaching a long-term truce. Israel has signed an agreement brokered by Egypt with Hamas on 26 August 2014 that ended a 51 days of Israeli occupation offensive against Gaza. The Palestinians resistance movements have been demanding in the negotiations, which let to sign a temporary agreement, for opening Rafah boarder, building a seaport, and rebuilding Gaza airport. After long months, Blair visited Gaza to look at the humanitarian conditions in as a step for the indirect negotiations he runs. The sources said that Blair has informed Mashaal that the Palestinian Authority headed by Abbas considered these negotiations an encroachment of the legitimate authority of the Palestinian people. The Islamic Resistance Movement, Hamas, said its leader Khaled Mishaal’s meeting with Turkey's President Recep Tayyip Erdogan was fruitful and positive. Both sides discussed the changes in the region, the Palestinian cause, and the Turkish role in supporting the Palestinian people, a Hamas official said. He added that Mishaal will meet with the Turkish Prime Minister Ahmet Davutoğlu for the second time on Thursday. The Turkish President expressed his concerns over the Palestinian cause developments and expressed unyielding support for the Palestinian people, according to the official. Earlier, on Wednesday, the political bureau head of Hamas, Khaled Mishaal, met with the Turkish President alongside with Turkish high officials in Ankara. The Coastal Municipalities Water Utility (CMWU) has appealed to Gaza donors to urgently step in and work on assuaging the humanitarian crisis rocking Rafah city and the eastern villages of Khan Younis before it is too late. CMWU said, in a statement, the water and sanitation services are on the verge of a total breakdown due to the exacerbating electricity crisis in Gaza, itself aggravated by the increasing problems in connecting power from Egypt. CMWU warned that an outage is very likely to rock water utilities within the next 12 hours and the sanitation facilities within 48 hours. 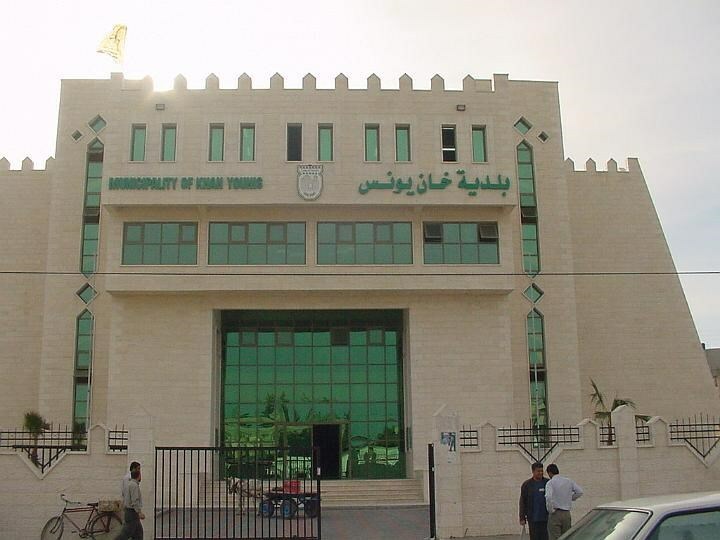 The department appealed to the donor countries to urgently intervene and work on providing Rafah and the eastern regions of Khan Younis with a minimum of some 6,500 liters of diesel per day so as to provide civilians with the basic water and sanitation facilities and prevent an imminent environmental and humanitarian crisis pending serious work, by the energy authorities, on a more permanent solution. The Turkish President Recep Tayyip Erdogan received on Wednesday the head of Hamas political bureau Khaled Mishaal in Ankara. The Anadolu agency said that the closed meeting lasted for one hour in the Presidential palace in Ankara. Mishaal is scheduled to meet the Turkish Prime Minister Ahmet Davutoglu at Wednesday evening in the Prime Minister headquarter, a statement issued by the the Prime Minister media office revealed on Wednesday. Private sources disclosed to the PIC that the Turkish President Recep Tayyip Erdogan will meet Hamas leader Khaled Mishaal on Wednesday. 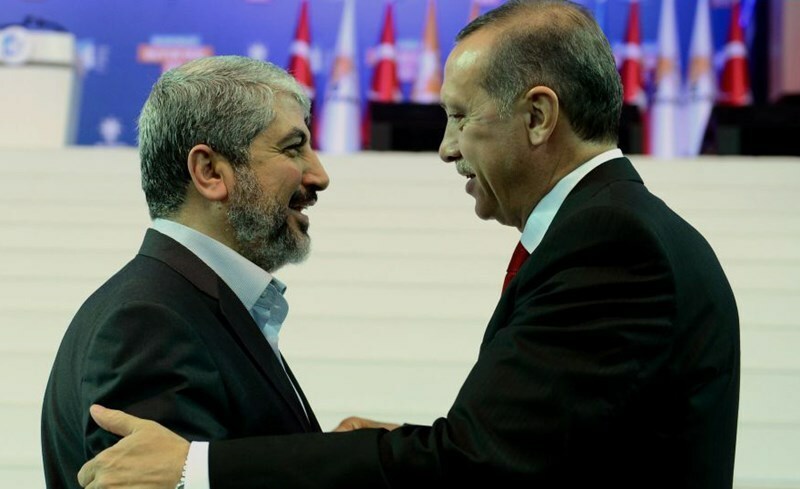 Political bureau chairman of Hamas Khaled Mishaal is due to meet the Turkish President Recep Tayyip Erdogan in Ankara on Wednesday, PIC has learned. No information has, however, been announced as regards the nature of the meeting and the files to be discussed between Mishaal and Erdogan. Earlier, this year Mishaal met the Turkish President as he joined the annual congress of the Turkish ruling Justice and Development Party. Both parties discussed the Palestinian cause and ways to lift the tough siege on Gaza. Mishaal had also recently met with the Russian Foreign Minister Sergey Lavrov in Doha and received an official invitation to visit Moscow. A few weeks earlier, Hamas’s chief paid a visit to Saudi Arabia, where he met King Salman Bin Abdul Aziz. A series of meetings was also carried out by Mishaal with European officials and delegations, most notably former Middle East Quartet Envoy, also former British Prime Minister, Tony Blair over possible ways to stabilize the ceasefire in the blockaded Gaza Strip. The Palestinian national reconciliation has entered a dark cave, the continued siege has turned the Gaza Strip into a ticking time bomb that might explode at any moment, we are maintaining good relations with Tehran and we are keen on having balanced relations with the Arab and Muslim countries, and the recent cabinet reshuffle is illegitimate. 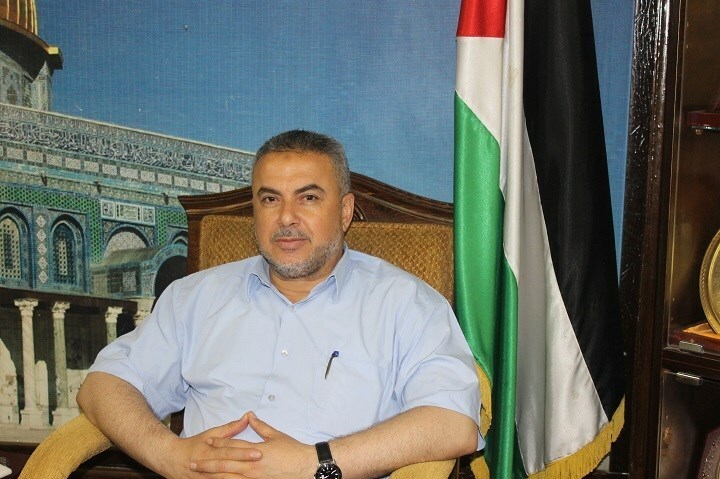 With these headlines the senior leader in Hamas Movement Ismail Radwan has summarized the Palestinian urgent and thorny issues in an exclusive interview with the PIC. On the current situation in the West Bank and Jerusalem, the Hamas leader said: "The Israeli occupation has escalated its systematic judaization schemes and break-ins into al-Aqsa Mosque, in addition to the settlers’ constant harassment against our people in Jerusalem and the West Bank like what happened with the toddler Ali Dawabsha who was burned to death." He regretted that such schemes and harassments coincided with the Palestinian Authority (PA) political detention policy in the West Bank, the security coordination and the cabinet reshuffle which is against the national consensus. Radwan warned the PA of returning to the fruitless and futile negotiations with Israel, and charged that secret meetings have been held between the PA and Israel. He called for putting an end to the security coordination, releasing the political detainees, according priority to the higher national interest based on the Shati Declaration and Cairo agreement, complying with the national consensus, and reversing the last illegitimate cabinet reshuffle. Radwan charged that Mahmoud Abbas, the Chairman of the PA, has disowned all previous national reconciliation agreements and failed to convene the Provisional Leadership Framework of the Palestine Liberation Organization (PLO) following the formation of consensus government, in addition to the failure to convene the Palestinian Legislative Council (PLC). "All that made the Palestinian reconciliation file more complicated." Radwan explained. As for the reports about Makkah 2 agreement, Radwan said: "The Palestinian reconciliation doesn't need new agreements, it only requires commitment to the signed agreements; Cairo agreement and the Shati declaration," and he clarified that Egypt is playing a key role in the reconciliation file and that all Saudi and Arab efforts must be aimed at obliging Abbas to comply with Cairo and Shati agreements. "We are keen on maintaining good and balanced relations with the Arab and Muslim countries, and our relations with the Kingdom of Saudi Arabia has improved recently and we hope that this will positively affect the Palestinian cause, support the Palestinian resistance, and pressure Israel into lifting the unjust siege imposed on Gaza and allowing the reconstruction of the blockaded enclave." Radwan pointed out that some members and delegations from Hamas political bureau have visited Tehran. However, Head of Hamas's political bureau, Khaled Mishaal, is not planning for a near visit to Tehran and any new arrangements in this regard will be announced. 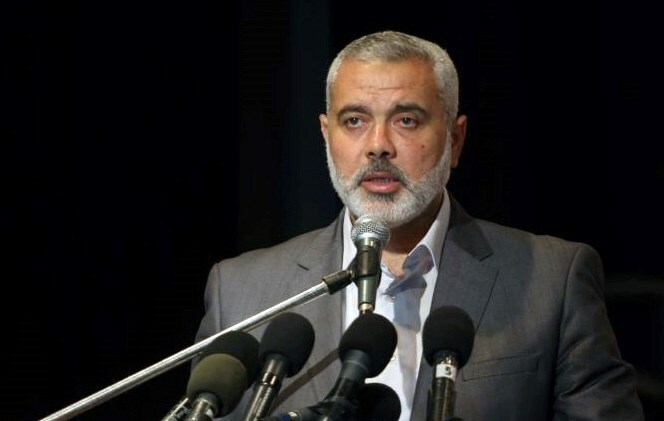 "The humanitarian situation in the Gaza Strip is obviously catastrophic in light of the power outages, the failure to pay the employees' salaries, and the increasing unemployment rate, let alone the fact that the PA and the consensus government don't pay any attention to Gaza's problems," the Hamas leader said. He added: "In spite of the harsh social, economic, educational, and living conditions in the blockaded Strip, we are quite aware that Israel (vainly) aims to break the Palestinians' will." He warned Israel of the consequences of committing more crimes against the Palestinian people. When asked about the reconstruction of Gaza, Radwan said that no real reconstruction has taken place yet and that he holds Israel fully responsible for that; as it has not allowed the entry of any material needed to rebuild the Strip yet, which has turned Gaza into a ticking time bomb that might explode at any moment. Citizens in the blockaded Gaza Strip are used to the electricity crisis and the frequent power outages, but the last heat wave and the humidity that reached unprecedented degrees have turned the houses in Gaza into ovens. "God has blessed war-stricken and besieged Gaza with the sea; otherwise the people would have died from the sweltering heat," Abu Muhammad al-Sayyed, 45, told the PIC reporter. "The electricity cuts off in the evening every other day; so we resort to the sea to escape the heat; our houses have become unbearable to live in," Abu Muhammad Yassin said. "No jobs and no work, sea is the only solution (to spend time)," the youth Awni Abu Naji said. The Palestinian Meteorological Department expected that the weather will be so hot; as the temperature will rise about 7-8 °C higher than its annual rate. The department warned the citizens of being exposed to direct sunlight for long periods especially between 11 am and 4 pm when the temperature is at its highest. 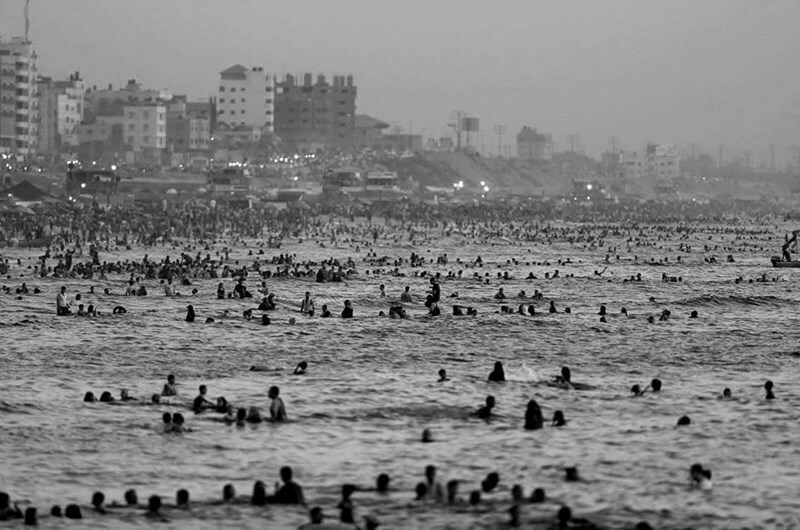 The number of vacationers at Gaza's coast is increasing in spite of the fact that children and people with sensitive bodies suffer pimples and red spots on their skin due to the severe weather conditions. Coastal Municipalities Water Utility (CMWU) said in a statement: "A humanitarian and environmental catastrophe is threatening the people of Gaza (1.8 million) due to failure to run water and sewage facilities while the power crisis coincides with the summer season in which water is consumed in large quantities." The statement also stated that the power crisis has caused water cut-offs in large areas of the besieged enclave, as well as a shutdown of the sewage pumps which leads to pumping water into the sea without treatment causing pollution and environmental problems. Water wells, pumps, stations to collect and pump sewage water, and wastewater treatment plants have been working partially because of the power cut-offs, according to the environment authority in Gaza. CMWU called on the international humanitarian institutions to urgently intervene to solve the electricity crisis and prevent a potential humanitarian and environmental disaster in the blockaded enclave. Gaza-based football club Ittihad al-Shujaiyeh said Friday that Israeli authorities prevented players and staff from leaving the besieged enclave to face West Bank rivals Ahli al-Khalil, while Israel denied the allegations and blamed Palestinian Football Association President Jibril Rajoub. The Gaza-based team was scheduled to leave the coastal territory together with Hebron's Ahli al-Khalil after having played an historic game a day earlier at the Yarmouk stadium in Gaza. But four of the players and three of the team's staff were refused travel permits, club spokesperson Alaa Shamali said. The players were identified as Hussam Wadi, Maysara al-Bawwab, Omar al-Arier and Hashem Abed Rabbu. The second leg of the cup game, scheduled for Sunday, has now been postponed and the next 24 hours will prove crucial as to whether talks with FIFA can lift Israel's travel restrictions, Shamali said. Ittihad al-Shujaiyeh had agreed before the game that they would not leave Gaza unless the entire team was allowed to travel, Shamali added. But the Coordination of Government Activities in the Territories Unit (COGAT) said in a statement that it had coordinated travel permission for 37 players from Ittihad al-Shujaiyeh and had required four players to attend a preliminary inquiry and so arranged their crossing a day earlier. Palestinian Football Association President Jibril Rajoub canceled their permission to cross, COGAT's statement added, saying that coordination was once again arranged for Friday but canceled by the Palestinian official. "Palestinians are giving a cynical use to sports, damaging only the Palestinian public," the Israeli statement said.The two teams had faced each other in an historic match on Thursday which ended in a 0-0 draw. The West Bank and Gaza Strip compete in separate leagues, of which the two teams which faced off on Thursday are the champions. Israel had originally denied travel permits for the Hebron-based team to enter Gaza, before lifting restrictions. Routine restrictions placed on Palestinian players by Israeli authorities under the pretext of security has long hindered the Palestinian National Football team's ability to play. Current and former players have spoken of hours held at checkpoints, being shot at with live Israeli ammunition, the ongoing restriction of their movement, and rampant racist verbal abuse at football matches that the Israel Football Association has ignored. Thousands of enthusiastic football fans converged on a stadium in war-torn Gaza on Thursday for a match seen as a symbolic victory over bitter political divisions and an Israeli blockade. The encounter between West Bank-based Ahli al-Khalil and Gaza's Ittihad al-Shujaiyeh -- their first in 15 years -- was technically to determine who will go on to represent Palestine in international competitions. Players and fans, however, saw it as much more than a sporting event, with the West Bank and Gaza Strip only 60 kilometers apart but separated by politics and Israeli territory. Hamas rules Gaza, which is under a strict Israeli blockade, while the Palestinian Authority of President Mahmoud Abbas is based in the West Bank. Attempts at reconciliation between the two Palestinian political factions have proved futile -- but that was not the case for Thursday's football match. The match which ended in a 0-0 draw was a relief for Gazans from the poverty and destruction surrounding them, especially after last year's war with Israel. But not everyone could enter at five shekels per ticket ($1.30) to watch the match, played in blisteringly hot temperatures. Shejaiya hails from an area flattened in last summer's war which destroyed 18,000 homes and left more than 100,000 people homeless. Even Yarmouk stadium, where the game was played, was partly destroyed by Israeli strikes. "Shujaiyeh,Shujaiyeh, not afraid of death," home fans chanted amid a din of drums and smoke. 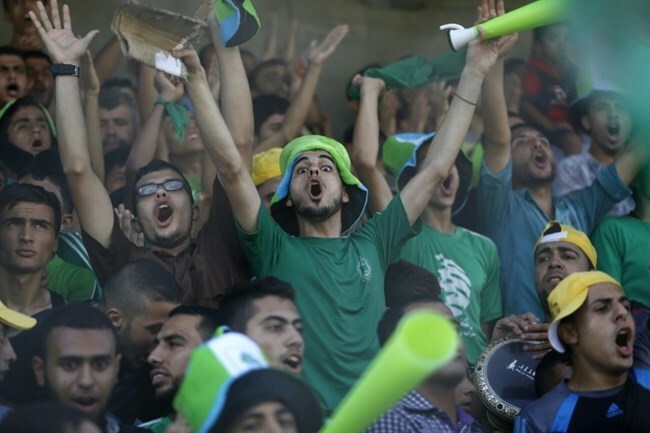 But cries of "go Al-Ahli" also rose from the stadium. The West Bank and Gaza Strip compete in separate leagues, of which the two teams which faced off on Thursday are the champions. A return leg is to be played in Hebron in the West Bank on Sunday. For Al-Ahli goalkeeper Azmi Shweiki, "football has succeeded where the politicians have failed. It brings people together." He said he was "moved by people's smiles despite the living conditions." Ahmed Mahajni, who also plays for Al-Ahli, was visiting Gaza for the first time, with the coastal enclave largely cut off from the world by the Israeli blockade and a closed border with Egypt. He said that was "already a victory." Restrictions on the movement of its players is one of the reasons officials from the Palestinian federation have pushed FIFA, of which Palestine has been a member since 1998, to sanction Israel.To reach Gaza, the West Bank team had to cross Israeli territory, and Israel had to grant approval for its players to enter the strip. Once there, captain Fadi Dweik had bittersweet feelings. "We are happy to be here and at the same time very sad to see the destruction" from last year's war, the third in six years with Israel, he said. The war killed 2,251 Palestinians, including more than 500 children. Seventy-three people died on the Israeli side, including 67 soldiers. "We saw in the media the damage from the war, but to see all of that for yourself, it's another feeling -- much stronger," Dweik said. He called the match "a message of hope sent to the West Bank and the Gaza Strip. "Shujaiyeh president Salah Harazallah said: "The aim of this match was to break the blockade imposed on Gazan sport, and it was achieved when Al-Ahli entered Gaza." On Sunday, Israeli authorities had denied Palestinian footballers from Ahli al-Khalil permits to enter Gaza due to "security reasons," the Palestinian Football Association said. Routine restrictions placed on Palestinian players by Israeli authorities under the pretext of security has long hindered the Palestinian National Football team's ability to play. Current and former players have spoken of hours held at checkpoints, being shot at with live Israeli ammunition, the ongoing restriction of their movement, and rampant racist verbal abuse at football matches that the Israel Football Association has ignored. Qatari foreign minister Khaled al-Attiyah said that the answer to the problems in the Middle East is to find a just solution to the Palestinian cause, accusing Israel of being involved in fueling regional problems. 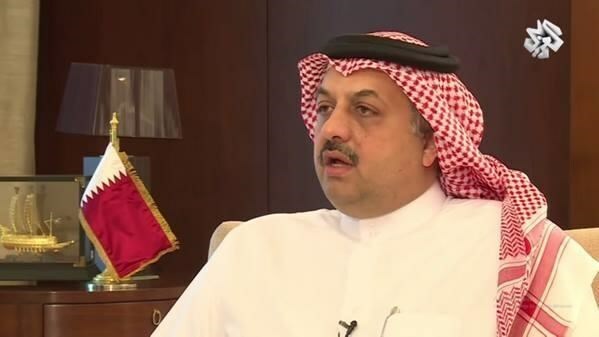 In an interview conducted by al-Arabi satellite channel on Thursday, al-Attiyah reiterated his country's "unwavering" support for the Palestinian cause and called for solving the problems in the Middle East through finding a just solution to the Palestinian question first. The Qatari minister stressed that Israel's settlement expansion and violations against the Palestinians seriously contribute to adding fuel to the fire in the region. He also accused Israel of not helping president Mahmoud Abbas to fulfill his role towards the peace process because of its persistence in its settlement activities in the occupied Palestinian territories. As for the Palestinian reconciliation, the Qatari minister affirmed that his country would keep its contacts with president Abbas and Hamas leaders to encourage them to implement the agreements they had signed to end the internal rift. 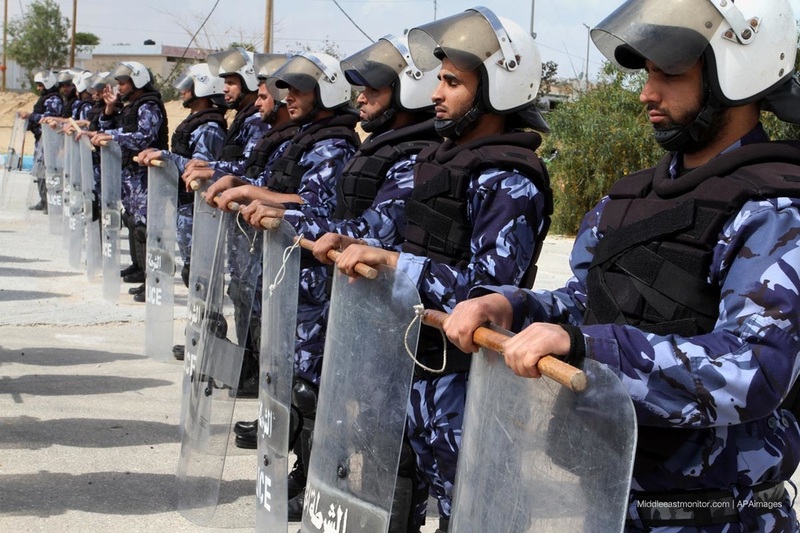 Some 750 "violations" were committed by the Palestinian Authority (PA) security forces against Palestinians during the past month; Palestinian news agency Safa yesterday reported a prisoner group saying. In a statement, the Committee for the Families of the Palestinian Political Prisoners in the West Bank said that the PA's "violations" regarding detention, investigation, holding trials and torture have reached record levels this year. The PA, the committee said, arrested 345 Palestinians and summoned 253 others for investigation over their political affiliation. According to the committee, the citizens arrested included 58 university students, engineers, seven journalists, three teachers and imams. Meanwhile, the committee documented six cases of torture during detention, 32 attacks on homes and inspections without detention and nine cases where the PA confiscated properties. Inside the PA prisons, the committee said that it documented 14 cases of torture, six prisoners suffered deteriorating health conditions, the detention of 73 were extended, tens were tried and three were stopped from having family visits. The committee said that the PA is currently imprisoning 104 Palestinian citizens, nine of which have been in prison for between one and seven years. Islamic Resistance Movement, Hamas, accepted a Russian official invitation to visit Moscow. No date was determined for the upcoming visit. A delegation headed by Khaled Mishaal, head of Hamas political bureau, welcomed on Monday the Russian Foreign Minister Sergey Lavrov escorted by his delegation in Doha, Qatar. 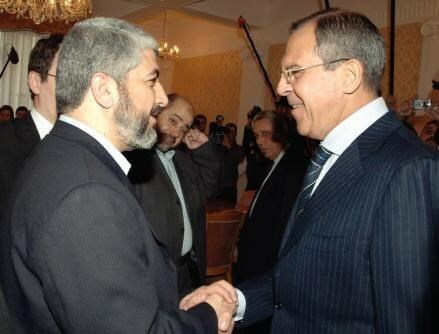 Hamas said that Mishaal accepted the invitation during his meeting with Lavrov. It also revealed that both delegations discussed recent developments on the Palestinian Question as well as the future of the Palestinian reconciliation in addition to the current political developments in the region. Hamas said its delegation brought to discussion the conditions under which Palestinians in Gaza are living in the wake of last summer’s Israeli aggression on Gaza. It also referred to the Israeli crimes in the West Bank and its attacks on Muslim and Christian holy sites in Occupied Jerusalem. Arab MK Hanin Zoabi held the Palestinian Authority (PA) accountable for the preplanned terrorism perpetrated by Israeli settlers against the Palestinian people. 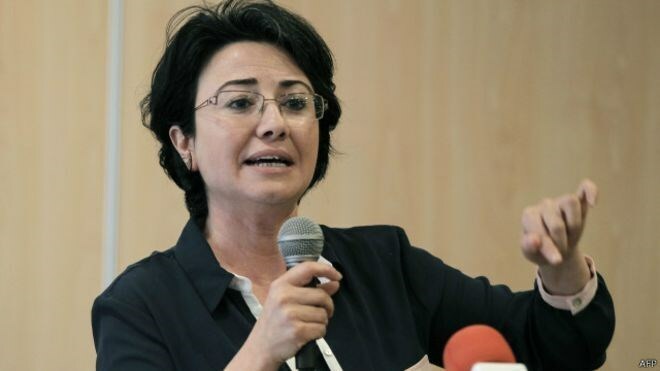 Speaking in a TV show broadcast from the 1948 occupied territories, MK Zoabi attributed the ongoing vandalism by Israeli settlers to the policies of repression pursued by the PA towards the Palestinian masses. She said the crimes committed by fanatic Israelis and price tag gangs is also the by-product of incitement and racism against Palestinians by the Israeli Knesset, ministers, and PM Benjamin Netanyahu. “The Palestinian toddler Ali Dawabsha did not die because of a fire but rather because of a preplanned murder,” she said. “How come that at a time when Israelis are killing our citizens we are just trying to calm them down? This is just strange!” she said as she slammed the apathy maintained by the PA as regarding attacks against Palestinians. She spoke out against the security coordination and suppressive policies pursued by the PA apparatuses, including attacks on demonstrators who take to the streets to voice their protest over Israel’s usurpation of the land and the people alike. She stressed the need to activate the determination and activism of the Arab MKs and to bring Israeli criminals before international courts. Hamas Movement denounced Sunday evening the meeting that took place between PA chairman Mahmoud Abbas and an Israeli delegation of Meretz party during which he pledged to reject violence and to maintain peace. President Abbas’s pledges to the Israeli delegation, not to allow what he called the violence, have no value and will not succeed in providing security for the occupation, the Movement said. "Abbas’s pledges reflect his interest in the security of our enemy at the expanse of our children," the statement continues. After only two days of burning the Palestinian infant alive by Jewish settlers, the Palestinian President Mahmoud Abbas received an Israeli delegation of Meretz party headed by its leader Zahava Gsl-On. During the meeting, Abbas said that despite the horrific arson attack in the village of Duma on Friday, his security forces will continue to coordinate their activities with Israel while working to prevent any acts of vengeance. The meeting coincided with a state of anger amid Palestinians over the Israeli crime of burning the infant child Ali Dawabsheh alive at the hands of extremist settlers in addition to the serious injuries suffered by his parents and little brother. After only two days of burning the Palestinian infant alive by Jewish settlers, the Palestinian President Mahmoud Abbas received an Israeli delegation of Meretz party, which provoked Palestinian protest reactions. 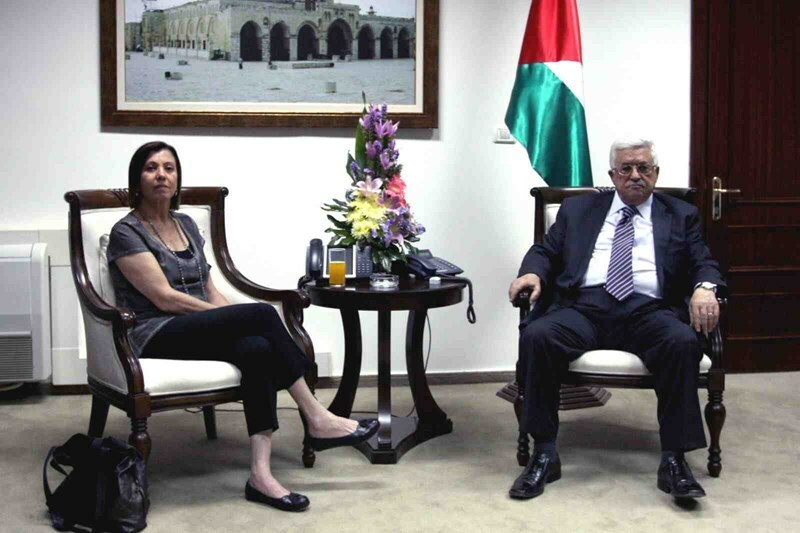 The Palestinian Authority distributed photos to the media showing Abbas in a meeting with an Israeli delegation headed by Zahava Gsl-On, the leader of Meretz party. Haaretz Hebrew newspaper revealed that the Israeli security forces along with the Palestinian security forces have recently made intensive contacts to foil any escalation in the West Bank following the criminal incident. Deputy head of Hamas's political bureau Ismail Haneyya has called for giving the Palestinian resistance in the West Bank a free hand to deal with the "savageness and terrorism" of Jewish settlers and groups. Haneyya told al-Aqsa satellite channel on Saturday that the settlers' violence against the Palestinians in the West Bank would be curbed for good if the Palestinian Authority (PA) ended its security collaboration with the Israeli occupation and gave a free hand to the resistance to defend their own people. The Hamas official, however, expressed his confidence that the Palestinians in the West Bank are able to confront the occupation and its settlers and respond to their violations. "Our confidence in our people in the occupied West Bank is great, and those who ignite the fire will be burned with it," he said. The Hamas Movement has renewed its call for a massive popular revolution against the Israeli occupation and its settlers in the West Bank. This came during a speech delivered by Hamas spokesman Hammad al-Raqab during a sit-in organized by Gazan children in Khan Younis in protest at the killing of 18-month-old Ali Dawabsheh in an arson attack by Jewish settlers on a house in Nablus. Raqab said the settlers' crime against a Palestinian family in Nablus reflected the occupation and its settlers are always thirsty for committing crimes against the Palestinians. He added that such crimes cannot be tolerated and need revenge attacks against its perpetrators, affirming that the Palestinian resistance would avenge the death of the Palestinian toddler.